Someone in Chula Vista is more than a half-million dollars richer Monday. 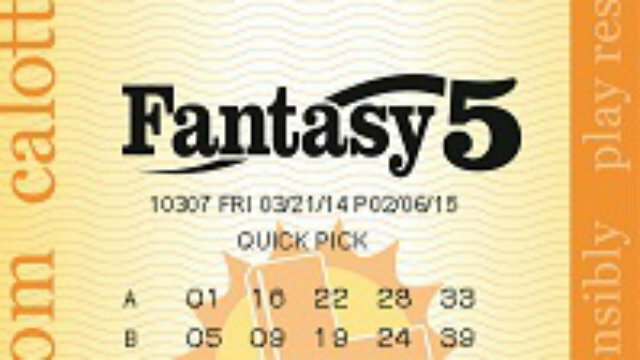 That lucky person matched all five numbers from Sunday night’s Fantasy 5 drawing, California Lottery officials said. The winning ticket is worth $518,017. The winning numbers were 38-14-20-5 and 19. Though lottery officials don’t know who the lucky person is, they said the ticket was bought at the 7-Eleven store at 1099 Third Ave. in Chula Vista. Fantasy 5 has the best odds of all the California Lottery games, officials said. Drawings are every day and players chose five numbers out of 39. The winner or winners were urged to sign the winning ticket in ink and store it in a safe, but easily retrievable, place, before claiming at the Lottery district office, which is located 5656 Ruffin Road in San Diego.